The all-new, rear-wheel drive 2016 Jaguar XF S can run from 0-60 MPH in about 5 seconds. But can it hold its own in snow? Getting out of my snow-covered 200-foot driveway is the easier part of this unconventional vehicle test. Getting back in and up the steeper hill (yes it is a hill at both ends) after the snow passes 3 inches will be the real challenge. This mid-size sedan from Jaguar is thoroughly modern, has all-season tires and a winter drive mode. I have a shovel, three buckets of sand and a girlfriend videotaping this on her cell phone I’d rather not look like a dork in front of. Let’s hope this goes well. We were out before the plows and sanders and had the chance to test the Jaguar XF S on about three inches of snow. Any more than that, and the plows show up, and the pavement is just wet. So, in a way, this is about as tough a test as the Jaguar will ever face in reality here in New England. 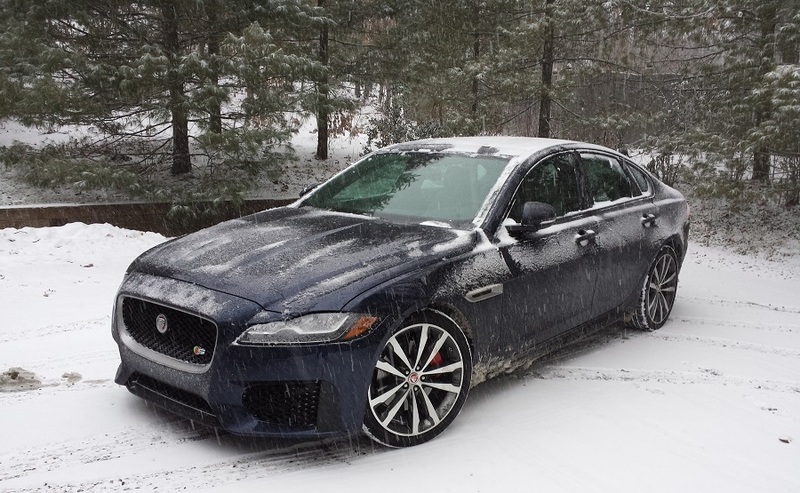 During the snow storm test drive, the 2016 Jaguar XF S struggled to keep itself pointed forward without the rear end wanting to step out in corners. On one downhill section at about 40 MPH, the road turned, and the car had that unsettled feeling that makes one think “DO NOT tap the brakes.” Once the grade flattened, and speeds were reduced, the Jaguar did just fine. Stopping distances were so extended that any sane driver would resort to very slow driving. Starting off went surprisingly well. The traction control and snow mode, which reduce power and limit wheel spin, worked very well. The Jaguar XF S even backed out of a parking spot in three inches of untouched snow and then moved forward with no trouble. Only on the road at speed did things get a little hairy. Last winter, our BestRide Editor, Craig Fitzgerald, tested a rear-wheel drive Corvette in the snow, but with winter tires. Throughout his video and written report, Craig emphasized the importance of the special winter tires. He was spot-on. 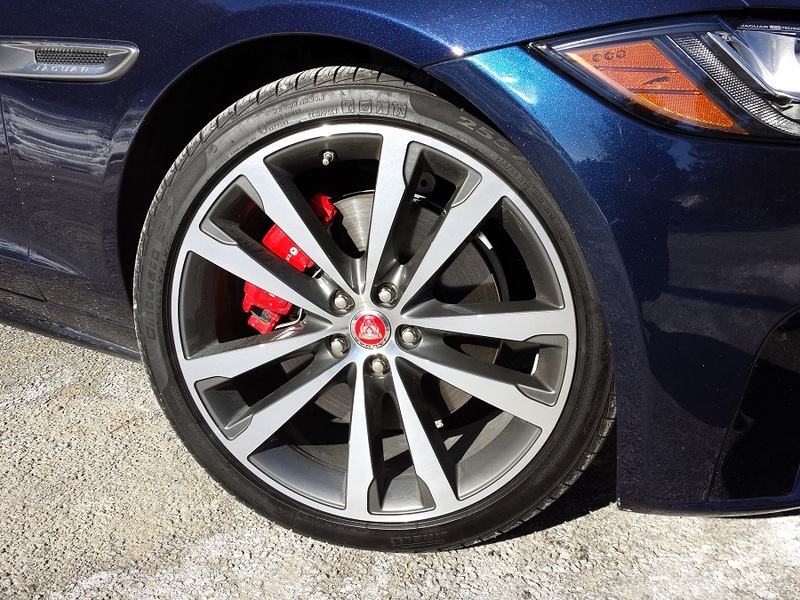 This Jaguar I tested was wearing wide, twenty-inch diameter rims with super-low profile, 35-Series, all-season tires. They just could not handle the untreated snowy roads. You can certainly crawl along, but keeping up with traffic is difficult to do safely. I did not try the car on the highway in these conditions. There is no way that would have been safe. Winter rubber would have made this Jaguar more capable, but it still would be wearing tires that are just too delicate for broken up winter and early spring roads in New England. Low profile tires like these do not have enough flex in the sidewall to handle potholes. Last winter I destroyed a tire like this on a test vehicle just slowly leaving a parking lot that had a single pothole I managed to hit. While we were out testing the Jaguar, we passes a Civic that was driving with its lower front fascia stuffed up under the car. A clear reminder that low-slung cars can be damaged by the plowed up snow at the end of driveways and intersections. 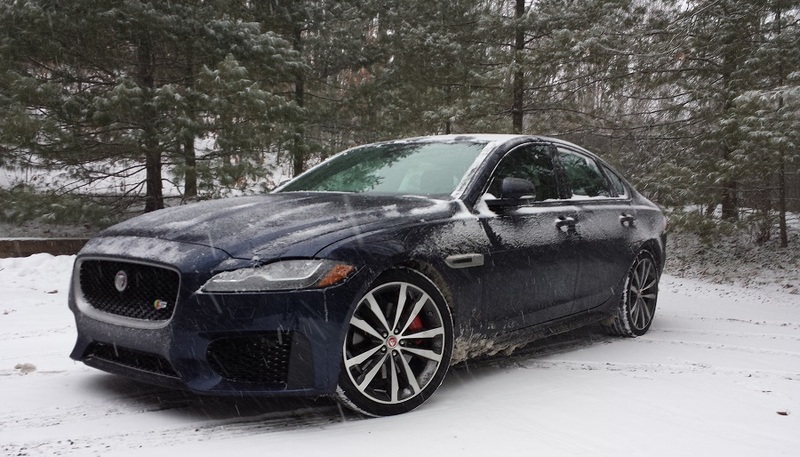 The Jaguar XF S’ low stance, coupled with its inability to see over snowbanks, means this car is better used as a three-season vehicle. In that role, the car excels. The 2016 Jaguar XF S has a wonderful V6 supercharged engine powerful enough to rocket this car along. The suspension is firm (partly due to the tires we keep harping on), but that also means it is sharp in its steering and turn-in. The XF S is as much sports sedan as you will ever need for on-road antics. The rear-wheel drive is an asset in normal weather, and adding AWD would not solve the car’s main challenge in snow. 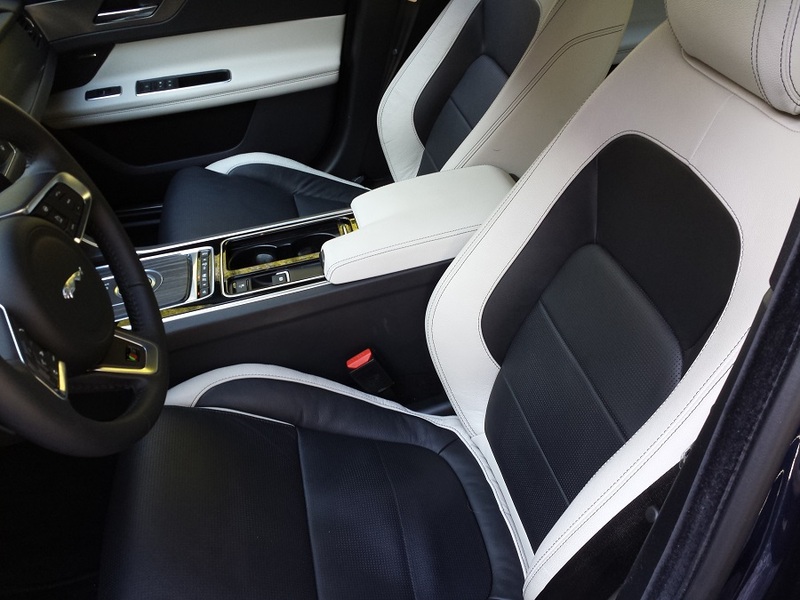 This 2016 Jaguar XF S is so well constructed, so beautifully crafted inside, and such a special vehicle, why not keep it out of the muck and salt of winter? So the upshot is, keep a second vehicle. 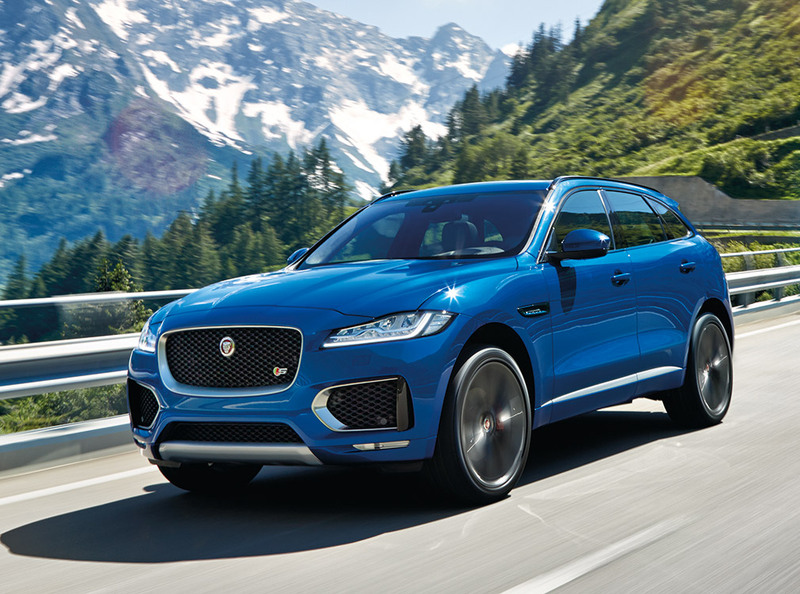 Perhaps the wonderful new Land Rover Discovery Sport HSE we recently tested would be a good stable mate for this Jaguar XF S sports sedan? VIDEO: Can You Drive a 2015 Chevrolet Corvette in the Snow? 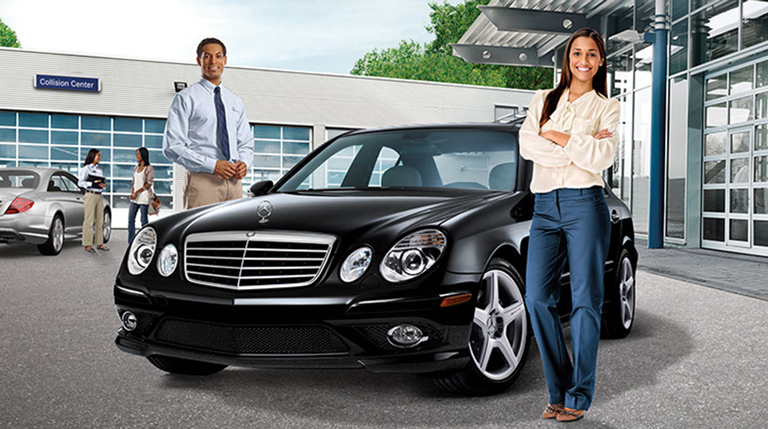 BUYER’S GUIDE: Should I Buy a New Car Extended Warranty?